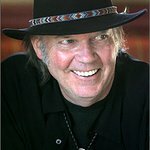 Neil Young has been announced as the 2010 MusiCares Person of the Year. The 63-year-old musician is being recognized for his outstanding philanthropic work, including co-founding Farm Aid in 1985, and founding Bridge School – and running the annual Bridge School Concerts – with his wife Pegi in 1986. Bridge School was founded to develop and use advanced technologies to aid in the instruction of children with severe speech and physical disabilities. MusiCares provides a safety net of critical assistance for music people in times of need. Its services and resources cover a wide range of financial, medical and personal emergencies, and each case is treated with integrity and confidentiality. MusiCares also focuses the resources and attention of the music industry on human service issues that directly impact the health and welfare of the music community. 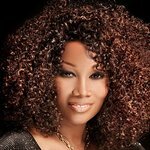 Young will be the 20th person bestowed with the honor, with previous recipients including Aretha Franklin, Neil Diamond and Brian Wilson of the Beach Boys. Young will be honored at a gala in Los Angeles on January 29, two days before the 2010 Grammy Awards.